Backed by worldwide brands, ABC Automobile markets a wide range of passenger vehicles, commercial vehicles as well as tires, car product and other related services. 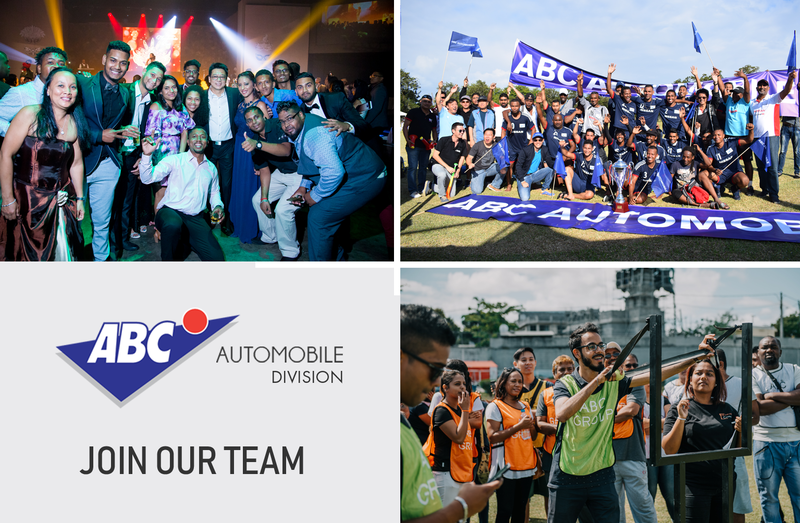 ABC Automobile employs more than 800 employees from different backgrounds and has a strong inbuilt culture which focuses on a shared company vision and mission. The management has a firm belief in a motto: “OUR PEOPLE, OUR DRIVE”. 1. Providing continuous training to its employees. 2. Driving its quality of operations with customer-driven mindset. 3. Seeking sustainable profitable growth. 4. Sharing the passion and commitment that drives our future. 5. Stretching the boundaries in wider, better directions. Seize this opportunity to be part of the ABC Family and grow with US.